Toccoa Valley Campground is located about twelve miles out on Aska Road. Not just a Camp Ground, but the home of the famous Pink Tubes. 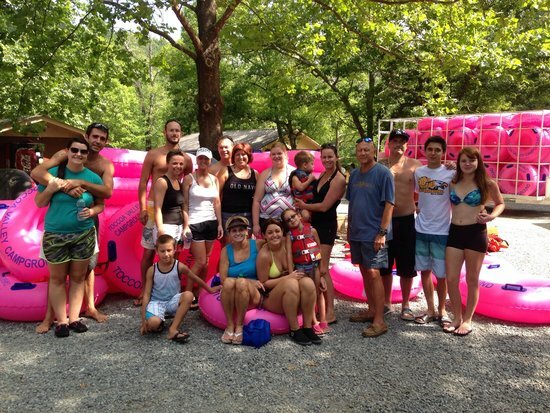 Toccoa Campground offers a much longer float as compared to other tubing companies. Toccoa Valley Campground is nestled in the heart of the North Georgia mountains, located on the bank of the beautiful Toccoa River in Blue Ridge, GA. They offer camp sites for tents and full R.V. hook-ups, tubing, rafting, or just a quiet day lounging by the river.